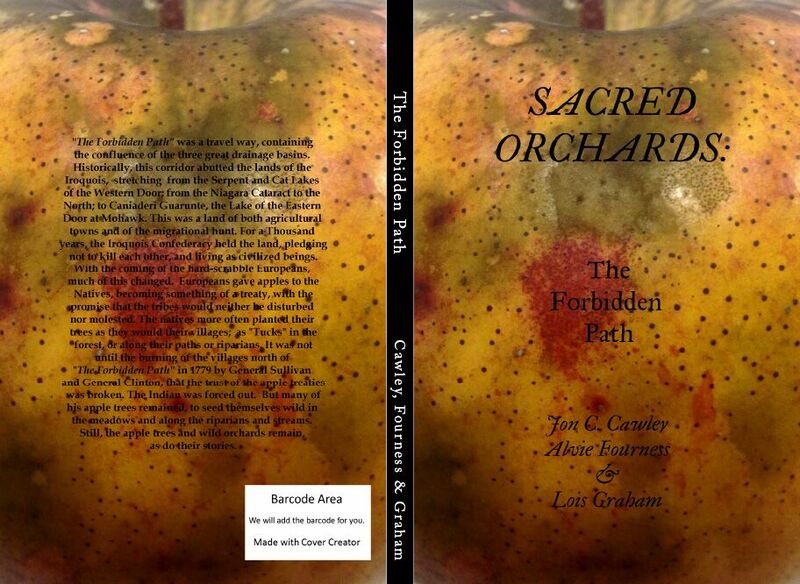 Published since 2014, Alvie Fourness' writings have contributed to the books of "Sacred Orchards" series. The Western Door (In-Work) We are very pleased to announce that work has begun on a new book in the "Sacred Orchards" series. A sneak peek review from an early reader has told us that this one has a lot stronger shamanic feel to it than any or all of the others. And of course, we took that as a compliment. The release is expected for Spring 2017. What lessons from the past can one find in an old apple orchard? It's not the things that you plan for that become the greatest challenges; it is unexpected events that cause the real ordeals in life. "The Forbidden Path" leads us toward a boundary crossing. A written story about an earlier time provides both chance to find the past and prepare for the future. Unexpected heavy rains cause flooding, rapid industrialization reshapes the landscape and settlement can cause confrontation and conflict. The migrating homesteaders became the sustainable farmers then the factory workers. Our remote forested valley became a homestead community made by the early new comers, and within a few decades it is industrialized into a prosperous town and then unexpected weather washes it down with a raging torrent. And today, we have since receded into an economy of enduing fortitude here in the Pennsylvania backwoods while the Native peoples became largely unseen spirits. What is the mystique of an ancient apple orchard wrapped in snow? And where are the North Pennsylvania pioneers, their farmsteads long gone to weeds and young forest? “Northern Pennsylvania Wilds” takes a photographic and storytelling look at the apple and orchard history of this important Hinterland. This was the terrain where famous American apple varieties found their origins. Where Johnny Appleseed learned and planted his first orchards. Seneca Indians and Amish alike haunt these pages as patient teachers and role models. Here is Resilience, and Sustainability. Here are human Cultures and human Dreams. Is it possible that this wilderness might be poised for a Renaissance of local community orchards and Transition to local food economies for the upcoming decades? Here is the story of the establishment of a bold little planting project in Smethport, Pennsylvania: a behind-the- scenes look at creating Sense of Place for the Future. 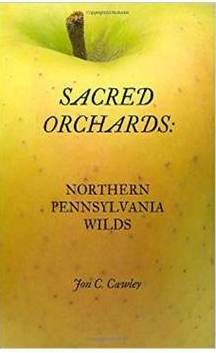 “Sacred Orchards: Northern Pennsylvania Wilds” is a powerful look into both the past and the future of this intriguing region.